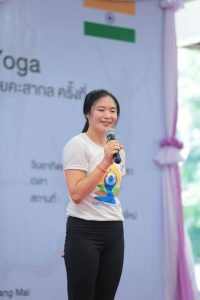 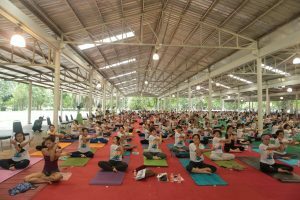 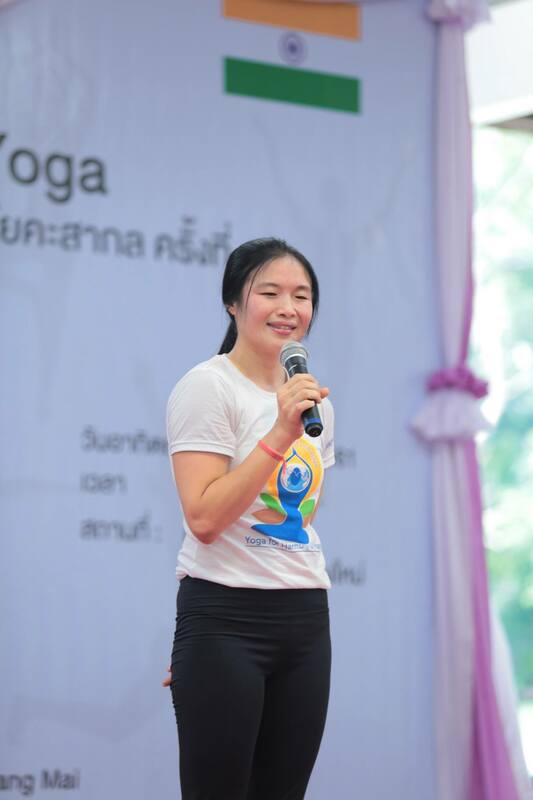 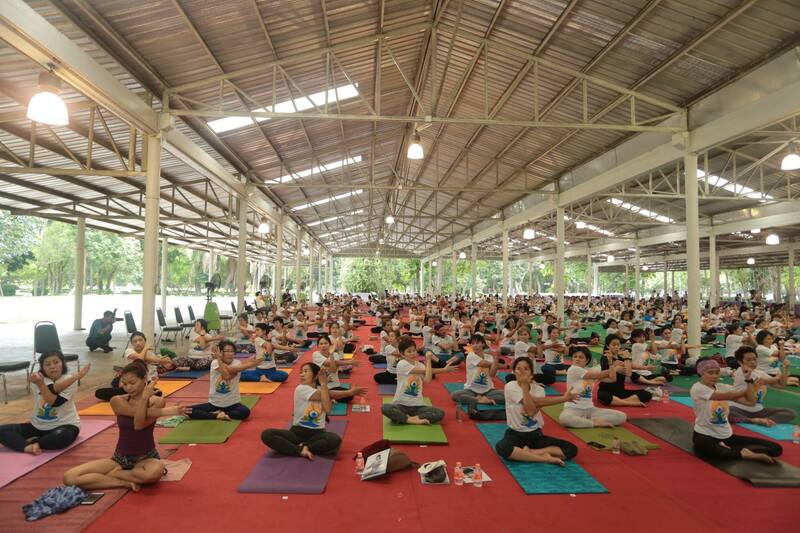 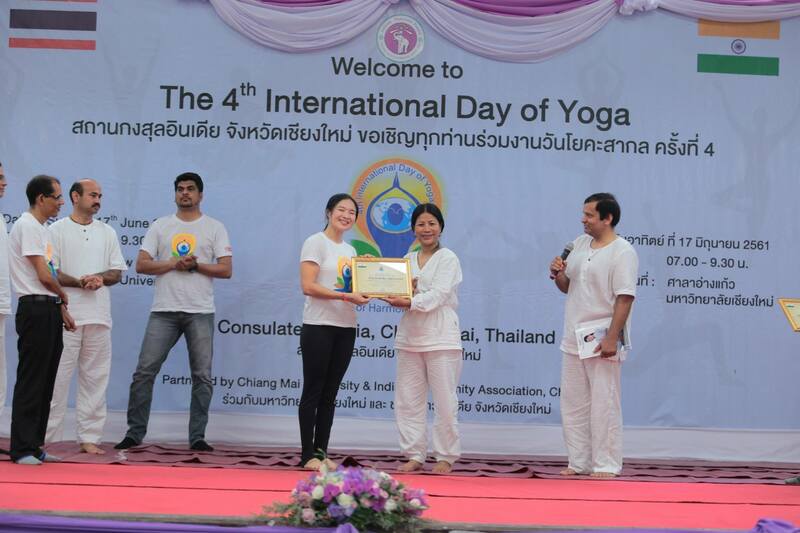 Our Yoga Ananda Chiang Mai lead by Kru NOK and her team Kru Biw and Kru Menny. 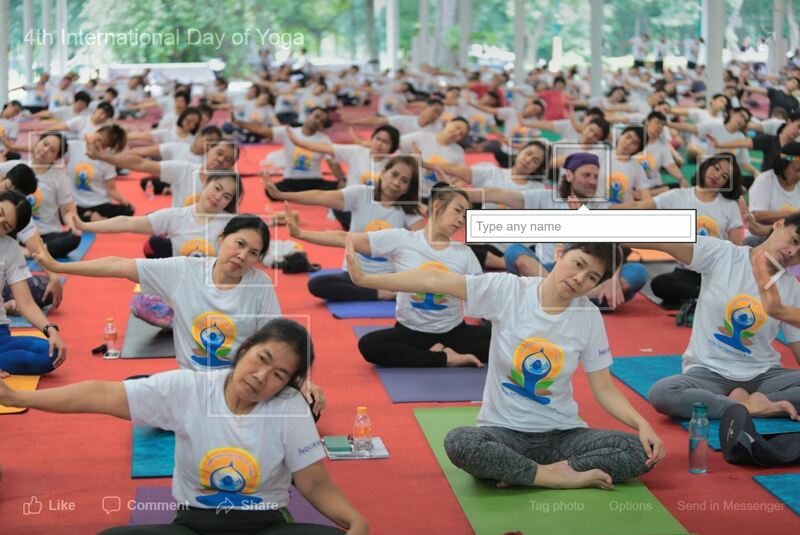 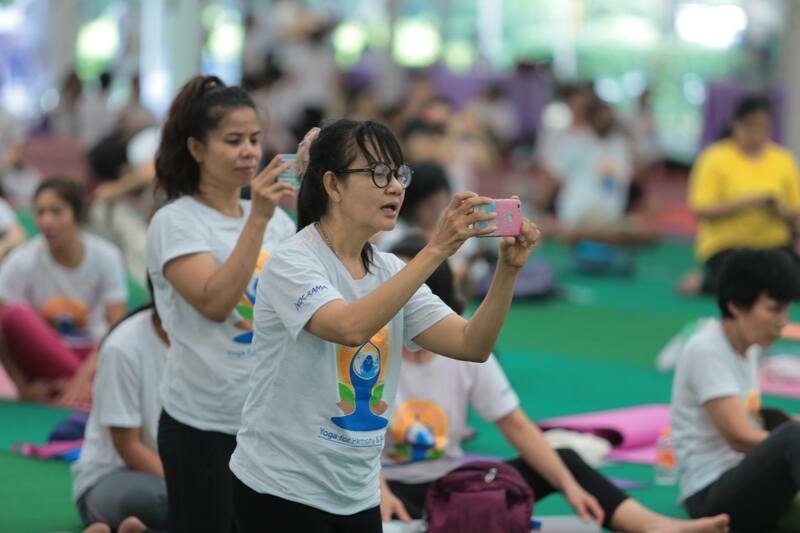 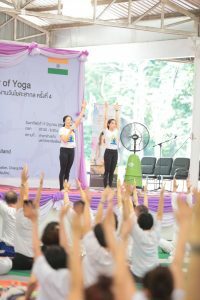 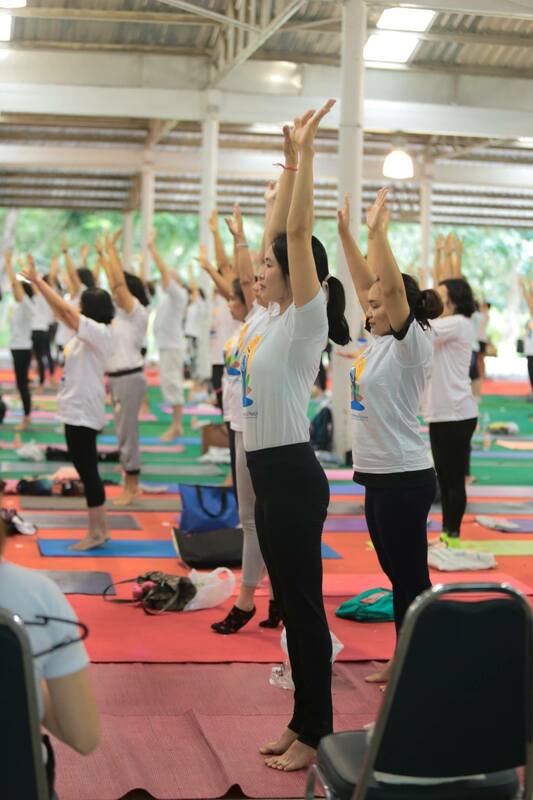 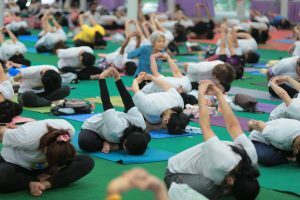 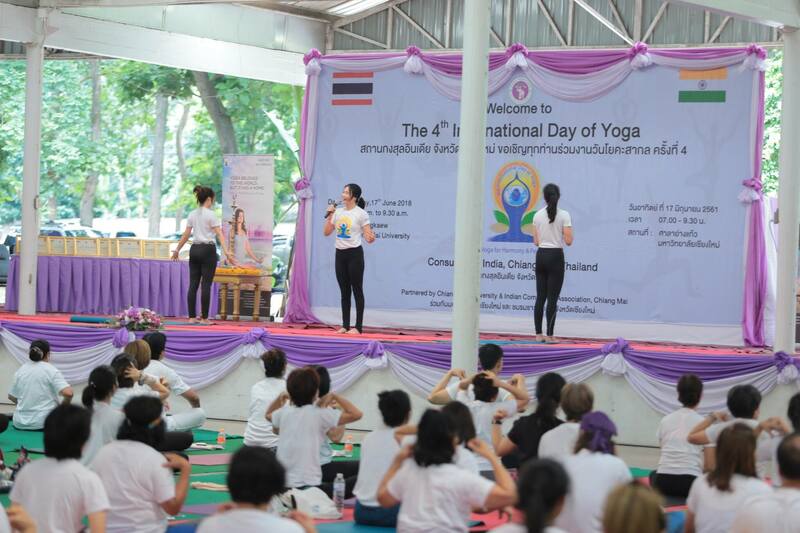 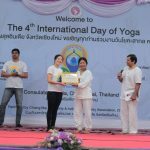 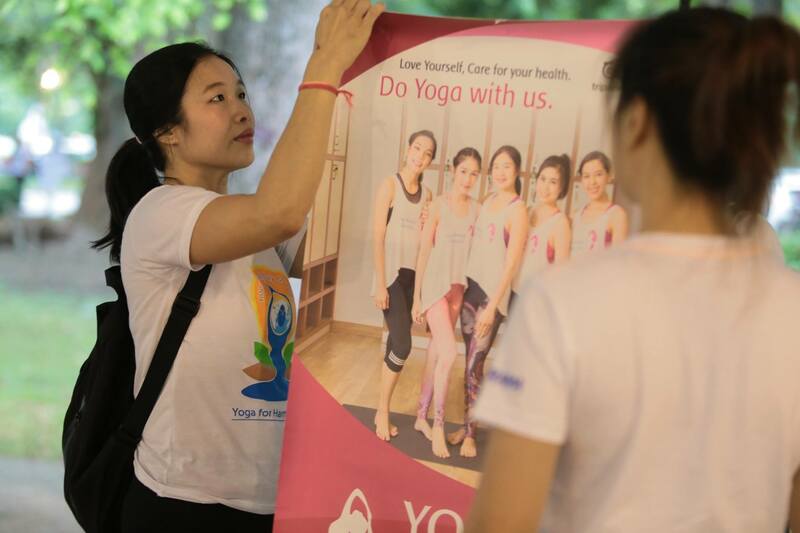 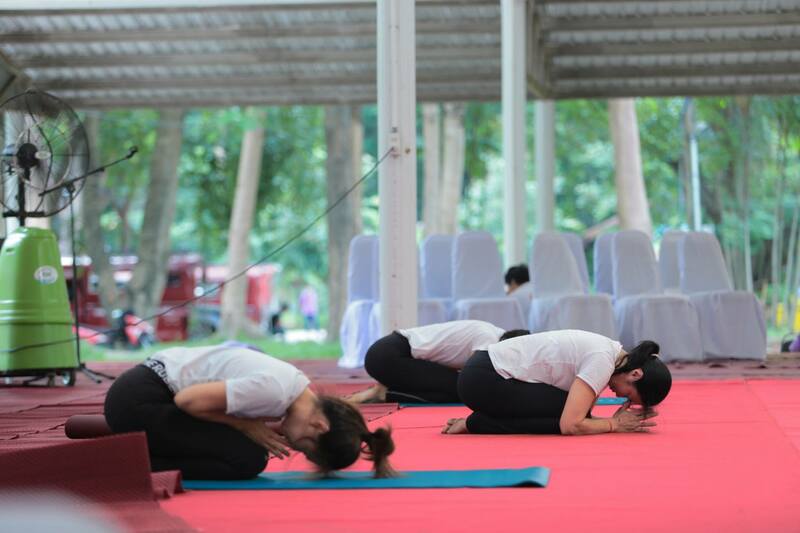 We are part of YOGA teaching and demonstration in the 4th international Day of YOGA orgainized by Indian consulate and Chiangmai University. 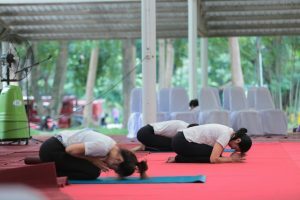 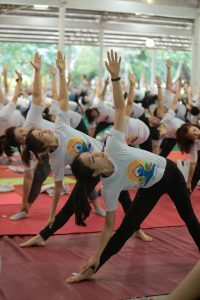 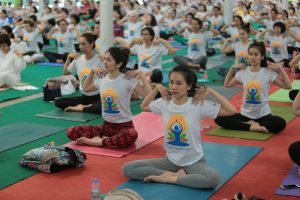 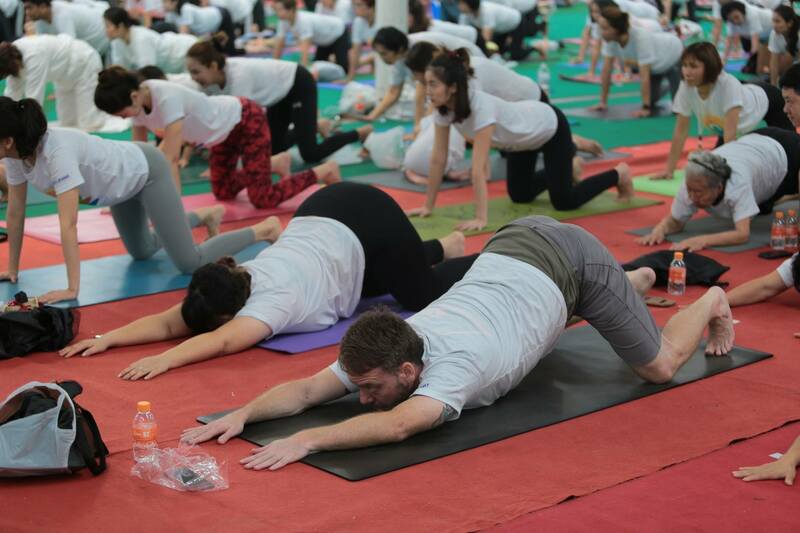 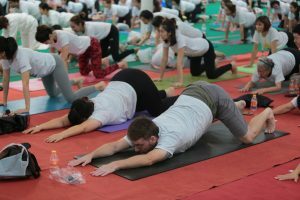 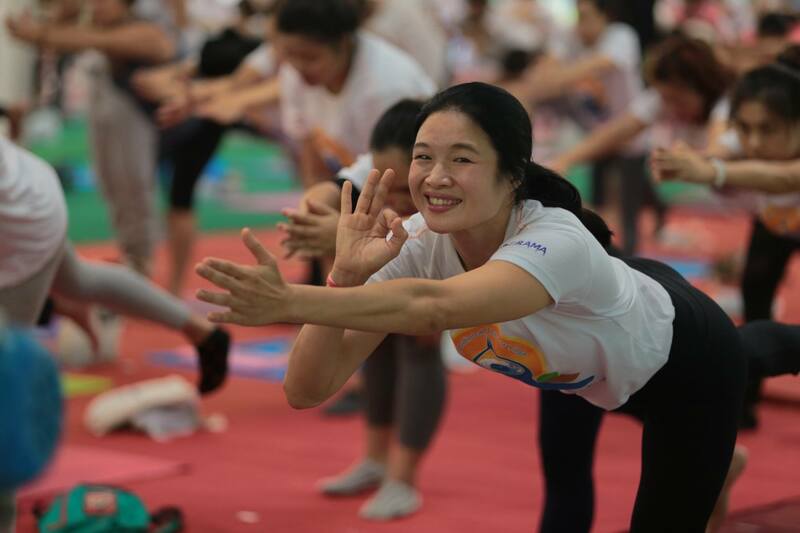 Almost 500+ people join the event and we are happy to teach “Happy Neck & Shoulders practice for all” to bring back to do own practice at home and also have yoga demonstration 7 minutes on the stage with music. 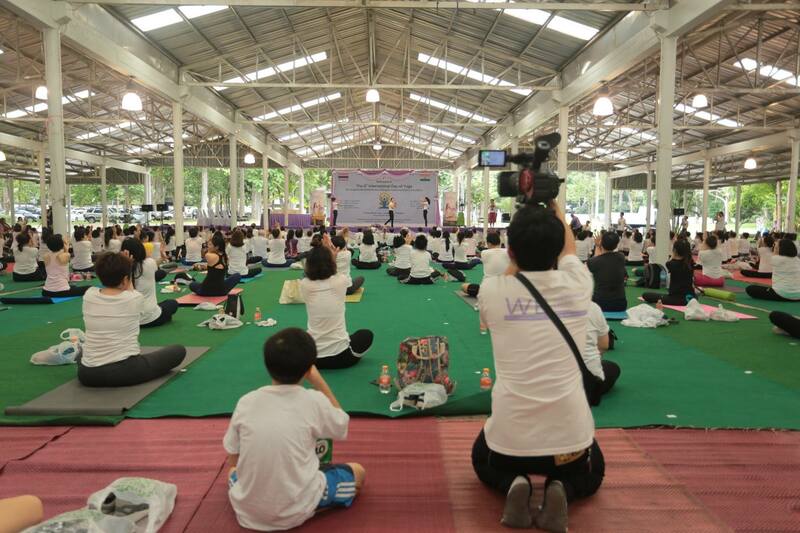 We would like to share the atmosphere of the event. 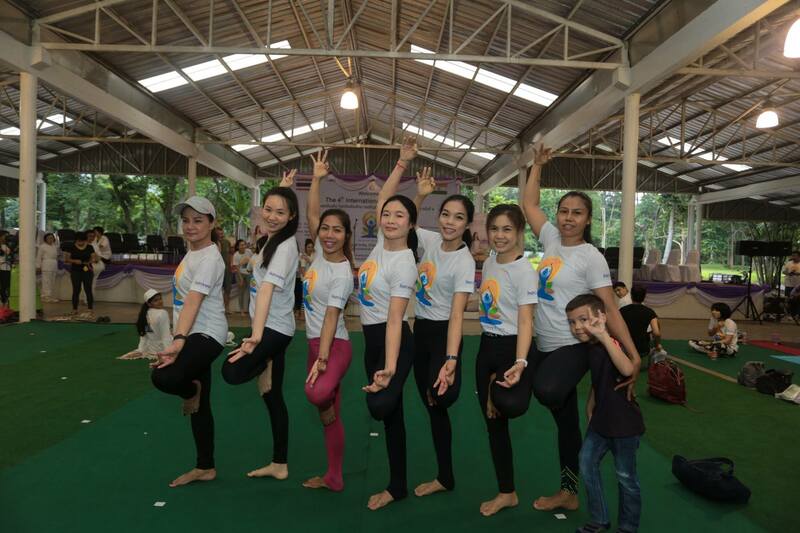 Big thanks to Kru Menny and Kru Biw (my best team) , lovely student Kru May and Sara to help us on stage for “Happy Nect & Shoulders Practice and all students, friends for coming to join this event.